Georgetown Loop: Departing from Golden enjoy the drive along Clear Creek en route to a spectacular stretch of three-foot narrow gauge railroad that brings you deep into scenic Clear Creek Valley. Durango & Silverton Narrow Gauge Railroad: Ride this train for an unforgettable journey through the mountains from historic Silverton to bustling Durango. 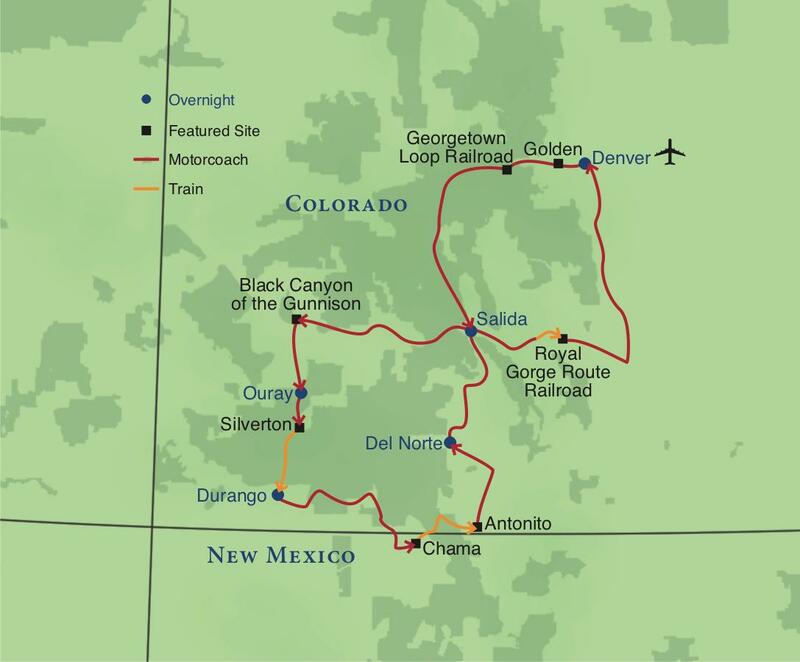 Cumbres and Toltec Scenic Railroad: This historic railway served the silver mines of the San Juan Mountains. Board the train at Chama, New Mexico, for a day in wilderness scenery. National Historic Landmarks: Between 1961 and 2012, U.S. Secretaries of the Interior designated the Durango & Silverton and the Cumbres & Toltec railways, and the Georgetown – Silver Plume and Silverton historic districts, as National Historic Landmarks in recognition of their nationwide significance.